Did you know about Croatia? Day 1: Arrival in hotel Parenzana (Buje) Family owned *** Casa Romantica located on the „Parenzana“, an old disused Austro Hungarian railway line which once connected Trieste with Porec situated in the middle of Bujstina, very popular region for its wine ang gastronomy delicacies. Upon arrival a briefing session follows and introduction to the bikes. Day 2: PARENZANA - KLOSTAR (approx. 50 km) Mornign departure towards todays highlight point, the medieval hilltop town Grožnjan, famous for its art workshops and festivals. After Grožnjan descent follows along fertile Mirna river valley and through the countryside and wineyards of famous ''Malvazija'' wine sort. Arrival in the small and pleasant village Kloštar above the astonishing Lim fjord. In this former monastery village, room awaits for you in the authentic atmosphere of the agrotouristic accommodation of farm Matošević. Day 3: KLOŠTAR - GRAČIŠĆE (approx. 65 km) Our goal of the day is reaching one of the most beautiful and historic places of Istria, the village of Gracisce with its moving history and wonderful scenery. Road will take us along the ruins of the medieval Dvigrad, town of Svetvinčenat and over the rolling hills of central Istria. Overnight in konoba Marino in the centre of this wonderful town. Day 4: GRACISCE - MOTOVUN (approx. 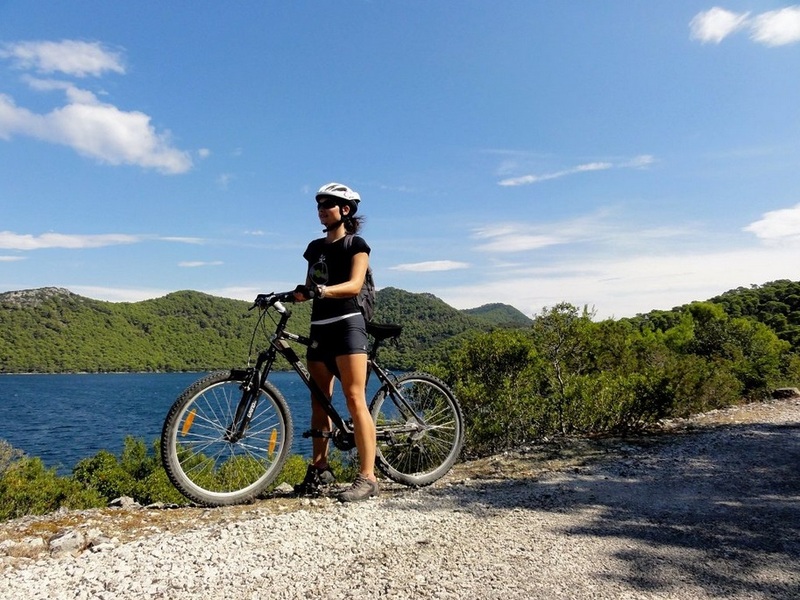 60 km) Cycling through the heart of Istria, with up and downhills through towns Žminj and Sveti Petar, two typical old central jewels of Istria. Stop over in Tinjan area after the climb as it is famous for makers od superb smoked ham. Peaceful backroads will bring you up to the picturesque and historic square of the Venetian town Motovun where you will stay in a hotel that was a former Venetian palace - hotel Kaštel 4*. Day 6: MOTOVUN - BUZET (approx. 45 km) Few steep and tricky climbs in th morning will get you out of Motovun area but still keep you in red grape countryside of Teran sort. You will pass the artificial Butoniga lake and continue enjoying in the astonishing views of Istria and then arrive to Buzet – the city of truffles. Your overnight stay is in the very centre of this town below the mountains - hotel FONTANA. Day 7: BUZET - PARENZANA (approx. 55km) After breakfast continue cycling towards Buje region, passing through two romantic river valleys, Bracana and Mirna, to reach truffle region of Livade. Climb to the medieval Oprtalj town for possible rest and lunch. 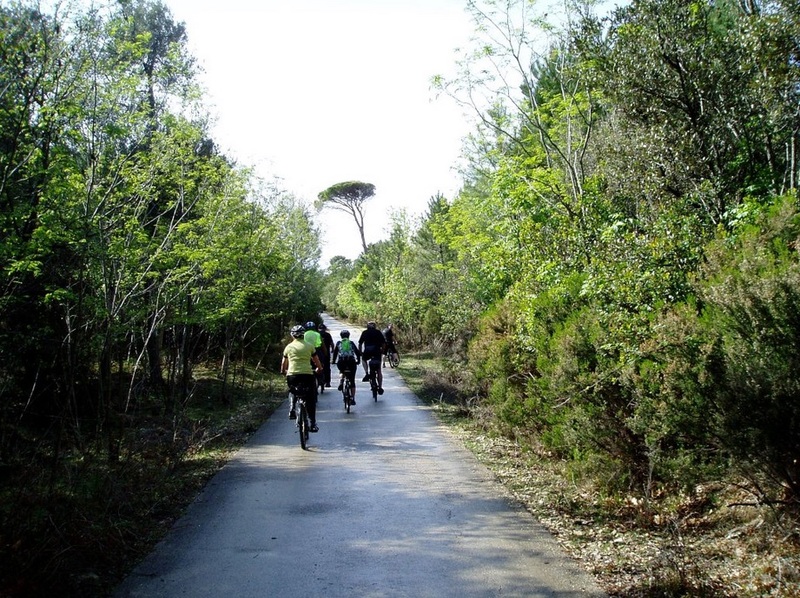 Riding through typical Istria countryside, reaching town of Momjan and continuing to hotel Parenzana where you will spend your last night of the trip. Day 8: PARENZANA (Buje) Check out after breakfast. For all tours some experience and a good shape required. 35 to 55 km per day, route with occasionally longer and steeper slopes, up to max. 300 m. altitude, for persons that regularly cycle. 50 to 70 km per day, the slopes are steeper and longer than in the previous categories up to max. 500 m. altitude, through a mountainous landscape, very good shape required.